With over 2,000 servers in 148 locations across 94 countries, and advanced technologies such as split tunneling and military-grade encryption under its belt, ExpressVPN is believed to be one of the better Virtual Private Network (VPN) services out there. Its competitive pricing, a wide range of payment options that include Bitcoin, and its educational features make it all the more attractive. Let’s say you have some questions for the ExpressVPN staff, whether it’s an issue or a general query. No worries, their customer service team is there to assist you 24/7. This step-by-step guide will help you reach them in no time - there are three options for contacting customer support, which we'll detail in full now. Locate and open your favourite web browser and navigate to the ExpressVPN website. In the lower right corner of the website, you’ll notice a little green box with words Need help? Chat with us! This box is visible on every page on the ExpressVPN website. Clicking the box will open a pop-up Live Chat window. This is where you will type in your question and press Enter on your keyboard. Soon enough, someone from the customer service will respond to your query. You can minimize this window any time and access it again by clicking the ExpressVPN logo in the lower right part of the website. Click the Support link in the upper-right part of the website, between Products and Blog. Clicking the link will take you to a page with a number of options to address your issue(s). If you can’t find the information you need when you click the Troubleshoot Now or Get Instructions button, then click the Live Chat button to talk to someone from the ExpressVPN team. 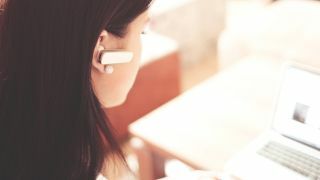 A pop-up Live Chat window will appear with an empty field where you can enter your question and someone from the customer service will respond to your query. Don’t want to live chat with the customer service? No worries, you can always send them an email. Scroll down the support page a bit more, past the Search ExpressVPN Support box, and you’ll see other ways to contact ExpressVPN support. Clicking the email address support@expressvpn.com will open your email app and you can type in your question there, or you can copy the address and paste it if you’re sending the email via a web app. As a final note, perhaps an even easier way is to click the Open feedback form on the right of the email option, causing a pop-up to appear on the lower-left side of the website. There you can type in your query along with your email address, and you will receive a response via an email message. And that's it! We hope you manage to get all the answers you need from the ExpressVPN team.